Hearing loss is permanent and irreversible. October is National Protect Your Hearing Month, and it’s also a time of year farmers are working around combines, dryers, augers, and other equipment with high noise levels that harm hearing without proper protection. 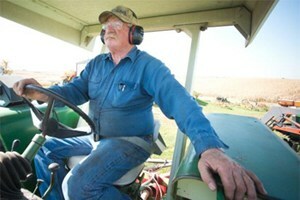 Prevent hearing loss with the Farm Safety Check. Are you using job-appropriate hearing protection? Match protection to decibel levels of exposure. Are you using hearing protection sized/fitted for your body? Are you inserting foam protection with clean hands? Are you inserting/placing PPE on correctly? Some foam plugs should be rolled. Are you updating used/old PPE that is no longer effective? Are you cleaning reusable PPE, like ear muffs? Are you limiting exposure to hazardous levels of noise? Are high noise areas marked with warnings or signage? Are employees trained on PPE use? Are you storing PPE near machinery or areas where it should be worn?